Are you a baptized Catholic, but have not received Confirmation as a student and would like to be confirmed? Are you coming from a different faith tradition and want to come in full communion with the Catholic Church? The RCIA program is a restoration of the ancient practice of initiation into the Catholic Church. It is a process of discerning and ritualizing stages of conversion, leading to sacramental initiation through the sacraments of Baptism, Confirmation, and Eucharist celebrated at the Easter Vigil Mass, thus empowering men and women for lives of service, charity, and justice as witness to the reign of God. It is the parish community of St. Pius X, through its witness, worship, service and catechesis, which offers the invitation and support necessary for men and women to be initiated into the church. 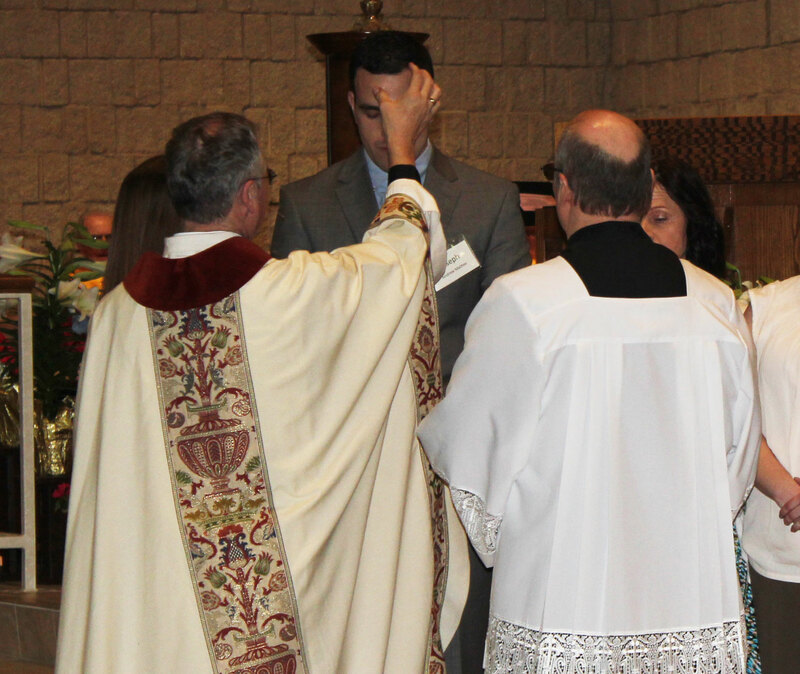 For most Catholics, the RCIA (Rite of Christian Initiation of Adults) and RCIC (Rite of Christian Initiation for Children) process can be quite confusing. Non-baptized persons interested in drawing closer to Christ are called catechumens. 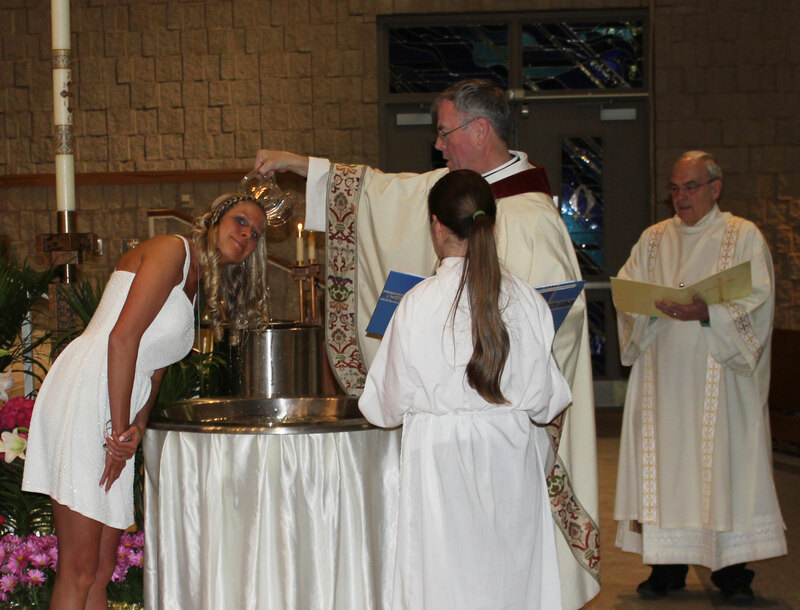 Catechumens become full members of the Catholic Church by means of baptism, confirmation, and Eucharist, which are referred to as the Sacraments of Initiation. Those adults who were baptized as infants either as Roman Catholics or as members of another Christian community but didn’t receive further catechesis, nor, the Sacraments of Confirmation and Eucharist are also included in the RCIA process. They are referred to as candidates preparing to receive the sacrament of Confirmation and the sacrament of Holy Communion at the Easter Vigil. Usually in February the RCIA and RCIC catechumens and candidates take another step toward the Sacraments of Initiation, by attending the Rite of Election with Bishop Ricken. What’s not commonly known is the entire Catholic community is responsible for nurturing those who are searching for Christ. There is an essential bond that exists between the faith of the RCIA faithful and the faith of the fully initiated that can encourage a spiritual awakening for the entire community. The witness of the faithful participating in the sacraments and the ministerial life of the Church is a huge source of inspiration and comfort to the catechumens and candidates. Similarly, the enthusiastic embrace of the faith that the new converts bring to the celebration of the liturgy and sacraments can lift the spirits of “veteran” Catholics who may have become complacent. It’s vitally important that the St. Pius X community serves as mentors and guides to the converts as they reflect on the mysteries that unfold before them through their meditation on the Gospels, their participation in the Eucharist, and their ministry in charity to others. Each of us has been commissioned by the Lord to go out and proclaim the good news of the gospel as we reach out in love to build God’s kingdom on earth by our baptism, confirmation, and every time we celebrate Eucharist. We are equal members of the universal church and have been called to play a special role in God’s mission so let’s be faithful to that call! You see, it’s through prayer, that we receive life from God. During our Lenten journey, let’s pray for each of our catechumens and candidates by name as they prepare to participate fully in the Sacramental Life of the Catholic Church at the Easter Vigil. If RCIA is something you think you would be interested in or would like more information, please contact Deacon Bob at deacon2@stpiusxappleton.com or (920) 733-0575.